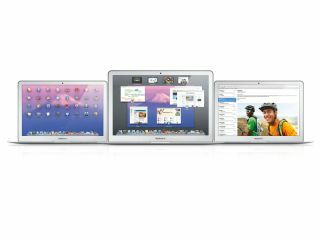 Apple has released what will surely be the final Mac OS X Snow Leopard upgrade before OS X Lion 10.7 arrives next month. Mac OS X 10.6.8 appeared as a software update on Thursday evening promising some minor bug fixes and further protection against variants of the already-addressed Mac Defender malware. However the headline change is an enhancement of the Mac App Store that prepares users for the forthcoming upgrade to Mac OS X Lion, which will arrive to download from the store during July. OS X Lion (or version 10.7) is only available via the new App Store and will be the first disc-less version of the operating system. Apple also pleased Mac users by once again offering the tweaked version of the operating system, which boasts over 250 new features, for a bargain basement £20.99. Lion is heavily influenced by the success of iOS on the iPhone and the iPad with a full-screen app view and new multi-touch gestures among the new feature set.